~ by martyworm on February 6, 2013. Good to see some appreciation for these Malaysians. They surprised me in a very positive way a while ago (thanks to Graham from Deepsend records, I hope you bought them there?). I also hear some classic Asphyx sound in their style. Indeed, nothing highly original or personal but more than rock solid. Me likey. Plus I have a weak spot for Malaysia, been there twice. 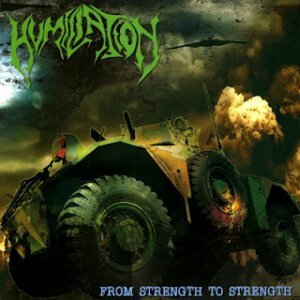 I bought a Humiliation EP from Deepsend (which isn’t as blatantly Bolt Thrower and bears some other influences). My investigation of this band was based on your recommendation in a thread on this site. So the WG tree yields steel fruit both ways! This entry was posted on February 6, 2013 at 7:45 pm and is filed under ALL REVIEWS, H-reviews.You can follow any responses to this entry through the RSS 2.0 feed.You can leave a response, or trackback from your own site.